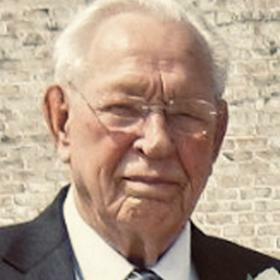 Leonard W. Jensen, 98, died peacefully on April 4, 2019. 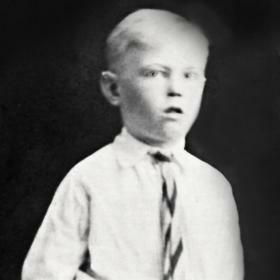 Leonard was born on April 5, 1920, the first of seven children born to George and Mable (nee: Sannes) Jensen. Leonard was a lifelong resident of Racine. He attended Washington Park High School, graduating in 1937. 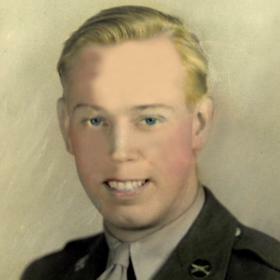 Leonard served in the US Army, 82nd Airborne Division, Glider Infantry, during World War II. 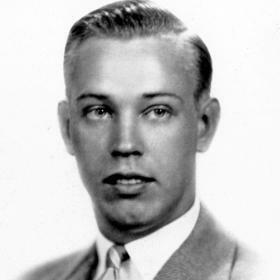 Leonard received a degree in chemistry from the University of Wisconsin-Madison in 1950. He was united in marriage to the late Mary J. Hall on August 20, 1953 and had celebrated 47 years of marriage before Mary’s passing on September 2, 2000. Leonard was employed as a chemist for Western Publishing. 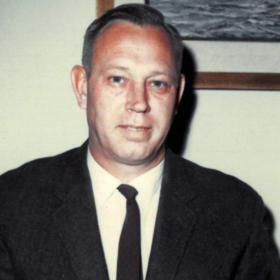 He was an active member of the 82nd Airborne Division Association and a lifetime member of the American Chemical Society. Survivors include his son, Jeffrey (Christine) Jensen; son-in-law, Wayne Feest; grandchildren, Christie (Brian) Moore, William (Shauna) Feest, Erin Feest, Adam Feest, Derek (Nicole) Fields, and David Fields; great-grandchildren, Cole, Brielle, Dryden, Brooks, Dominque, Savannah, Sophia, Sullivan, Maggie and Gordon; brother, William Jensen; sisters-in-law, Donna Jensen, Joyce Jensen, Margie Jensen; as well as many nieces, nephews, other relatives and special friends. Leonard was also preceded in death by his daughter, Julie Feest; sister, Alice (Donald) Pedersen; brothers, George, Harvey, Howard and Robert (Virginia) Jensen; sisters-in-law, Mary Ann Jensen and Irene Kayon; brothers-in-law, Robert, William, Donald and James Hall. Funeral services will be held at the funeral home on Thursday April 11, 2019 at 12:00 p.m., with entombment with Full Military Honors immediately following at Graceland Cemetery. Relatives and friends may meet with the family at the funeral home on Thursday from 11:00 a.m. until time of service at 12:00 p.m. In lieu of flowers, memorials to Southern Wisconsin 82nd Airborne Division Association or a charity of your choice have been suggested by family. The family wishes to extend a special thank you to his Primrose family and friends.